Let me introduce you to one very talented woman: Sandra Harris. She’s the mastermind behind Raincoast Creative Salon and one of my favorite food and lifestyle photographers. You can see why in the photos above! Not only did she craft up this cocktail but she styled them beautifully for this post. Swoon! So the back story of my friendship with Sandra began on twitter and continued with instagram and #foliophoto— a collaborative instagram photo challenge started by Christie from Bedsidesign and Sandra. Fast-forward to Camp Mighty last year where we finally got to meet in person. As usual I was nervous to face-to-face since we all have those moments where you’re not sure if someone is true to their online personality but I can guarantee Sandra is. She’s welcoming, super creative, witty and can carry one heck of a conversation. After Camp Mighty, our friendship continued to grow with tons of support for each others endeavors. Sandra and Melanie Biehle invited me to partake in their 1st online art show for We Are The Contributors and that community introduced me to wonderful creatives. Always encouraging collaboration and support, Sandra is one of my favorite instagramers to follow and it was only natural to have her join in on #happyhourclub even if it meant virtually. Get ready for the tart deliciousness of her Rhubarb Pimm’s Cup—the perfect cocktail to start off the long Memorial Day weekend. B&G: So what’s the story behind this crafty cocktail? Oh, by the way the photos you provided are FANTASTIC! Sandra: It’s a drink from the British colonies! I was introduced to Pimm’s Cup No. 1 when I lived in Cape Town right at the bottom of Africa. Created in the mid 1800’s, it’s an herbal infused gin drink. Think a little spicy, a little sweet and a lot yummy. The traditional recipe is two parts Pimm’s + one part lemonade, poured over ice and garnished with mint & cucumber. Since I’m a bit of a rhubarb fanatic, why not put the two together? The tartness of rhubarb is perfect with the sweet taste of Pimm’s. Find a jacaranda tree to sit under, watch some polo or tennis and sip away. B&G: When I’m in the kitchen creating cocktails, I like to envision some sort of story to go along with the drink. For your libation, who or what would be your idea muse? Sandra: My muse is a beat up old land rover at the end of a day on safari. While living in southern Africa I spent a lot of time in the bush in Botswana and Zimbabwe. At the end of the day, no matter how remote, we always had “sundowners” (cocktails). Someone would pull out a bottle of this and a bit of that and mix up some drinks using the hood of the land rover for a table. B&G: That’s awesome! I need to add that term to my cocktail lingo and add this adventure to my life list. Speaking of awesome, what would be the perfect pairing for this cocktail? Sandra: Since I love the mix of anything sweet and salty with a bit of crunch to it, I’d go with spicy, salted roasted mixed nuts—something with a kick to it. Sandra: Bantering with friends at the end of a long work week—you know when you all get going and there’s joke after joke after joke? There’s nothing like that perfect mix of personalities, wit and fun. 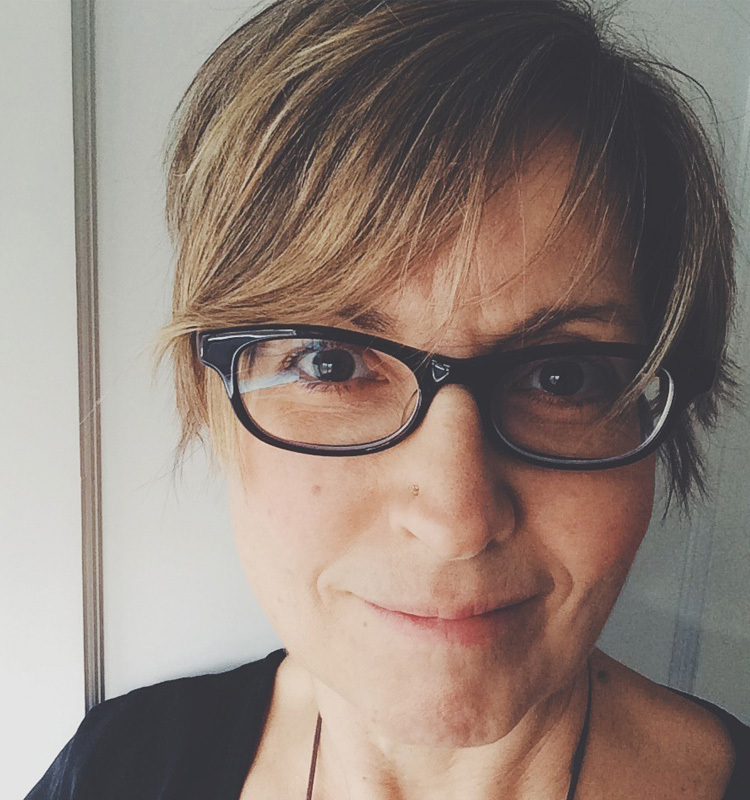 Sandra: I’m a food & lifestyle photographer based in Vancouver, Canada. Raincoast Creative Salon is the online home for what I love: creativity, food, art, design, architecture, and travel. Travel is in my blood and I can’t live without the arts, making or experiencing. I’ve lived in Vancouver, Toronto & Cape Town and traveled throughout southern Africa, the US, Cuba, Europe & parts of Asia. When I’m not traveling, I’m hanging out with my husband and our 8 year daughter who share a love for food, travel and the arts. And a little water-skiing and snowboarding. In a tall glass, add both ingredients over ice. Stir, then top with ginger ale, soda, lemonade or sparkling wine. I use Fever Tree ginger ale for the intense, clean ginger flavor. 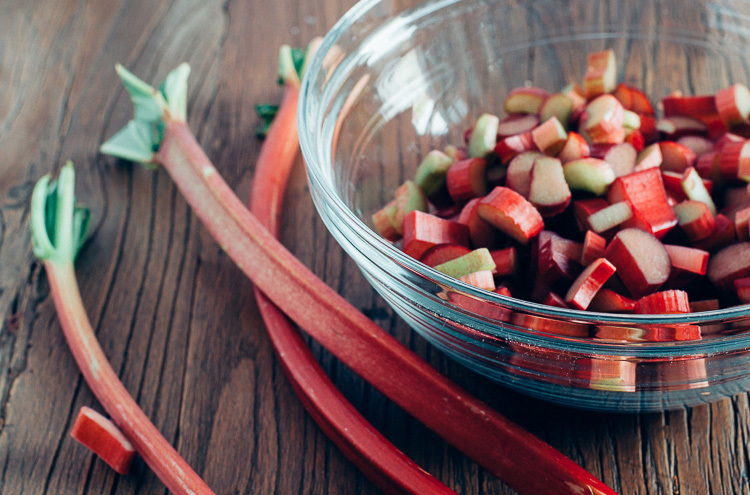 Bring rhubarb, ginger and water to a boil. Add sugar & vanilla extract and cook for 5­-7 minutes until thickened and somewhat stringy. Taste. If too tart, add some sugar. You do want it a bit tart. Remove from heat and push mixture through a fine mesh strainer to separate solids from the syrup. Makes about 1 cup syrup. Use the pulp for muffins or discard.